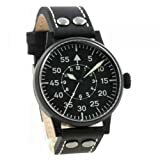 Every time it comes to pilot watches, people tend to envision them as a handy tool, with large readable hands, simple hour numbers, standard round case, leather wrist strap (matching the pilot’s traditional leather jacket perhaps) and basic secondary functions such as one or a few small subdials. The truth lies pretty far from this perception. 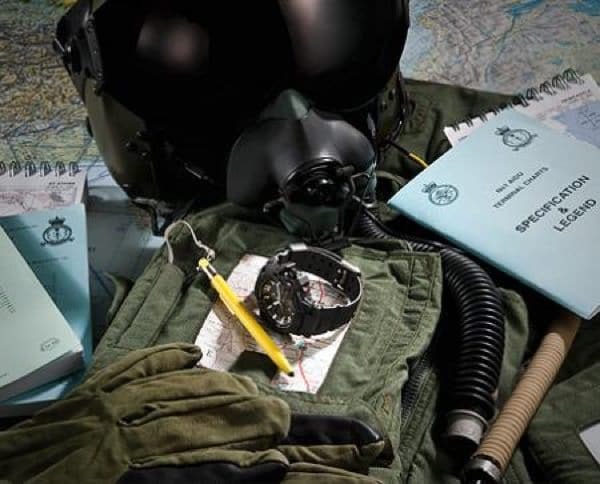 Just like watches created for diving activities, with specific functions and unique features, pilot watches have their origin in the need for a specialized tool to provide pilots with a reliable way of timing various aspects of flight. Since the flight industry evolved tremendously, it is easy to imagine how these watches developed in turn: from the Cartier Santos and the German Fliegers of World War II to famous brands and models like the Citizen “Blue Angels World A-T” Eco-Drive Watch, Seiko Flight Alarm Chronograph Watch, or Casio’s G-Shock Aviation Series watches (the list may easily go on). Today’s debates concerning aviator watches range from the materials conferring them resistance and durability to functions like digital flight computers, complex mechanical innovations and traditional three-handers. It is thus a thorny issue to name the best pilot watch available today. One can rate the same watch differently depending on functional complexity, design and materials. In our attempt here, we’ll consider the best overall performance. other functions: solar recharging battery, barometer, temperature, compass etc. 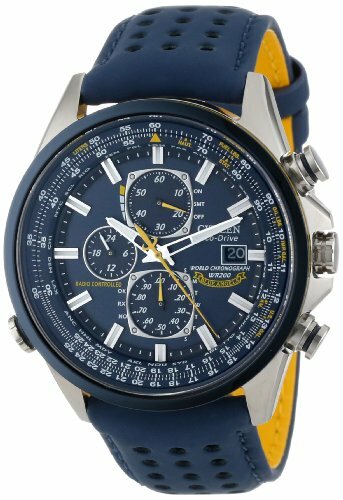 As the name suggests, this Citizen “Blue Angels” Aviator Watch brings forward a casual combination of bold blue and bright yellow design and relies on the light-powered (in both artificial and natural light) Eco-drive Japanese quartz movement. The “Blue Angels” name stands for the elite flight squadron of the US Navy, and their honored badge is featured on the watch. The blue design of the round dial on the outside resonates in a stylish manner with the luminous hands and index markers within the stainless steel case and the slide rule bezel. The main structural features of the watch consist of the anti-reflective and scratch-resistant sapphire window as well as a 200m resistance to water. 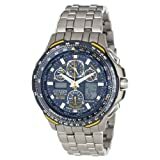 The specific functions of the “Blue Angels” Eco-Drive Watch bring to light a 1/20 second chronograph that measures up to 60 minutes, a date display at the 3 o’clock position, a power reserve indicator, and perpetual calendar. The latter feature means that one won’t have to adjust the date ever again, as the mechanism ensures a correct display not only of the date and day, but also of months, including February of leap years. Citizen’s “Blue Angels World A-T” definitely deserves its place among the best pilot watches as it checks against most requirements, providing an amazing watch with the best in aviation timepiece technology and atomic timekeeping technology – the most accurate in 5 parts of the world (North America, the UK, Europe, Japan and China) and automatic world time in 26 time zones. 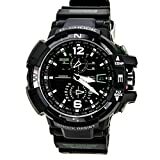 The thing about this aviator watch is that it is not designed exclusively for pilots. 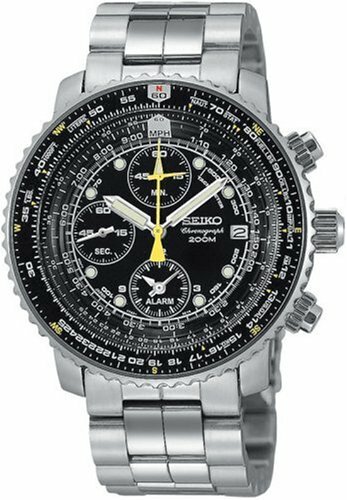 Following the trend of the industry, Seiko Men’s Flight Alarm Chronograph Watch is also based on Japanese chronograph quartz movement. 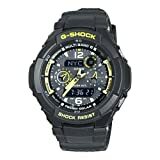 It combines precision and convenience, being designed with a round black dial including luminous markers and huge luminous hands. Just like Citizen’s “Blue Angels World A-T”, this watch is fitted out with a date window at the 3 o’clock position. There are three sub dials for the alarm, second hand and 60 minute hand. Also the case diameter is large enough to ensure both coziness and style as it measures 42 mm while it is 13 mm thick. The scratch resistant Hardlex crystal and the stainless steel case and bracelet? secured with fold-over push button grip? set the watch above other aviator watches as far as durability and safety are concerned. All these features make Seiko Men’s SNA411 not only one of the best pilot watches, but also a useful water resistant accessory at 200 meters (660 feet). Talking about its extra functions– the watch has a stopwatch feature that can count up to sixty minutes. Also, the alarm can be formatted according to different time zones. One of the most useful additional features are the two directional rotating slide rule bezel that can perform different types of calculations. There are a few drawbacks of the watch, but they certainly shouldn’t impair the overall good impression: the numbers on the dial are a little bit unreadable from a distance as they are rather small compared to other pilot watches’. Also, the setting of the alarm may be time-consuming for those who travel a lot and use this feature intensively. 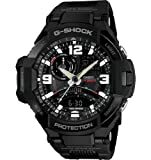 The G-Shock GWA-1100-1A3 catches one’s attention with its looks, but also with its durability and resistance. 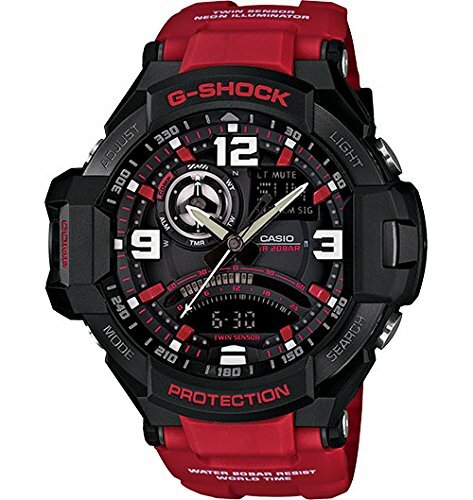 According to its suggestive name, the “G-Shock” watch is resistant to shocks and breaks. 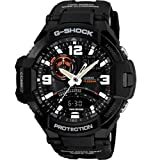 Moreover, just as other G-Shocks on the market today, this Aviation series incorporates Casio’s “Triple G Resist” technology, which means it is resistant to shock, centrifugal force, and vibration. This is due to a special material called “Alpha Gel”, a type of silicone compound which encases the movement. Therefore the watch’s durability is increased substantially. This outstanding pilot watch can withstand over 15G of gravitational force and 20G of vibration. It is also water resistant to 200m and has an anti-glare coated, scratch resistant sapphire crystal window which only contributes to its strength. 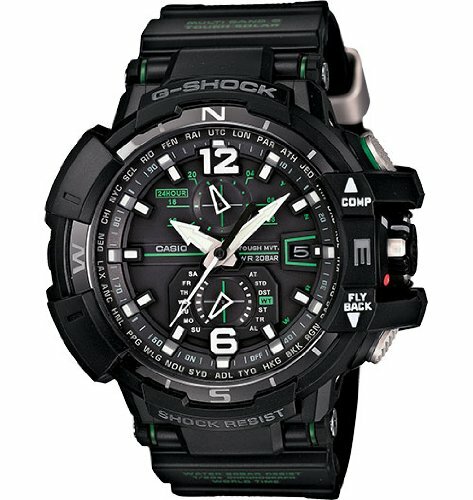 The exclusive feature of this Casio G-Shock GWA1100 watch rests in the fact that it is the first of the Gravity Defier series to incorporate a compass made of Japanese, low specific gravity, carbon fiber that noticeably decreases the weight of the second hand and contributes to the accurate and quick display of direction. Casio also has a new direction sensor that lowers the power consumption up to 90%. 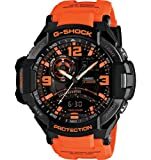 Other features include the chronograph that can measure up to 1/20th of a second, the countdown timer with customizable settings for anywhere from 1 to 60 minutes and, last but not least, the alarm which can be easily set by rotating the crown shaped bezel. 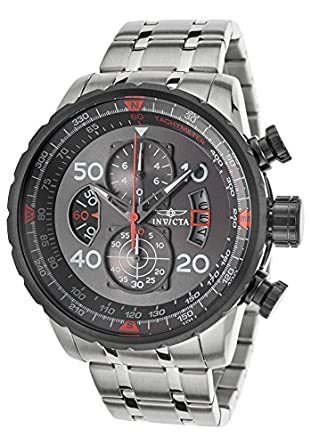 To sum up, this exquisite aviator watch is one of the best when it comes to reliability; all the GWA1100?s are solar powered and have a 6 month autonomy. This model can also receive radio signals from all 6 atomic time towers across the world, guaranteeing perfect accuracy at all times.